Thai Prime Minister Yingluck Shinawatra today pledged to end ivory trade in Thailand, seizing a key opportunity to stem global wildlife trafficking. Her statement came after the call of nearly 1.5 million WWF and Avaaz supporters. Bangkok, Thailand – Thai Prime Minister Yingluck Shinawatra today pledged to end ivory trade in Thailand, seizing a key opportunity to stem global wildlife trafficking. Her statement came after the call of nearly 1.5 million WWF and Avaaz supporters. Prime Minister Shinawatra said at the opening of the Convention on the International Trade in Endangered Species of Fauna and Flora (CITES) in Bangkok that Thailand would take steps to end ivory trade – the first time the Thai government has said this publicly. Ending ivory trade in Thailand – currently the world’s largest unregulated ivory market – will go a long way in stemming a global poaching crisis that is leading to the slaughter of tens of thousands of elephants each year and fuelling a global criminal trade in animal parts. “We’re thrilled to hear that Prime Minister Shinawatra took this opportunity to seize the global spotlight and pledge to end ivory trade in her country. But the fight to stop wildlife crime and shut down Thailand’s ivory markets is not over. Prime Minister Shinawatra now needs to provide a timeline for this ban and ensure that it takes place as a matter of urgency, because the slaughter of elephants continues,” said Carlos Drews head of WWF’s delegation to CITES. Thailand is currently the largest illegal ivory market behind China. Officials have certified 67 authorized ivory vendors. However, market surveys have found ivory in more than 250 shops. 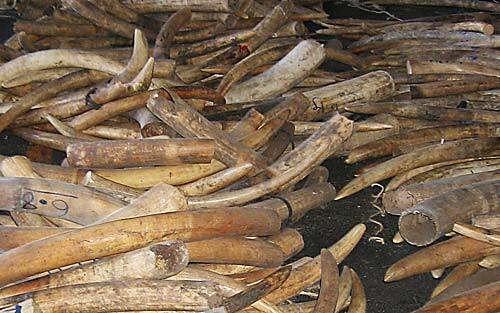 Much of this ivory is purchased by foreign tourists. The prime minister’s decision comes as WWF and TRAFFIC continue asking CITES governments to sanction countries fuelling the global illegal wildlife trade. Poaching has escalated to crisis levels in recent years, and is a major threat to iconic species such as elephants, rhinos and tigers. Thailand, Nigeria and Democratic Republic of Congo have failed repeatedly to address their rampant domestic ivory markets despite CITES rules that outlaw the unregulated sale of ivory. Under treaty rules, CITES member states can recommend that parties stop trading with non-compliant countries in the 35,000 species covered under the convention, from timbers to crocodile skins. Note: this version corrects a quote by PM Shinawatra that was improperly attributed. 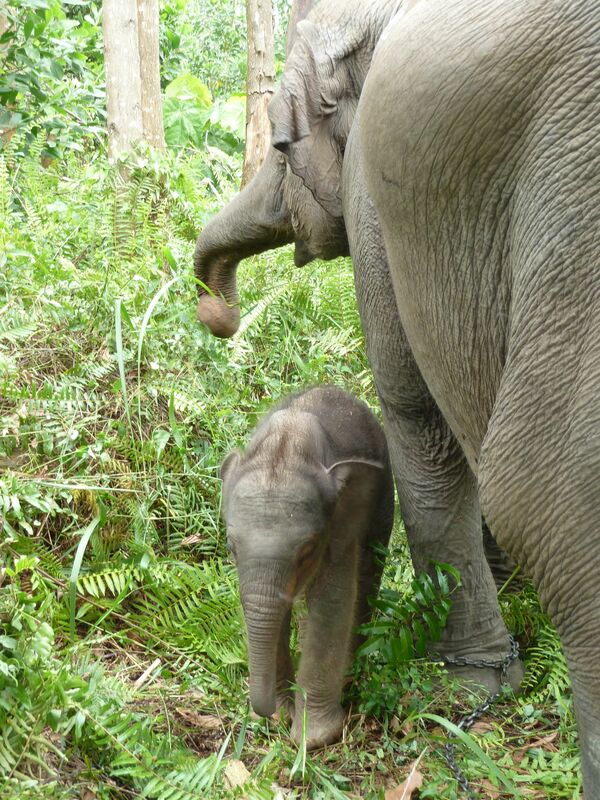 The baby elephant's mother Lisa is used to safely keep wild elephants out of crop fields. 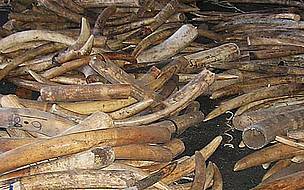 Ivory from at least 500 elephants seized in Tanzania.